Any time you face a problem with your septic system, call VAC-TEC LLC. 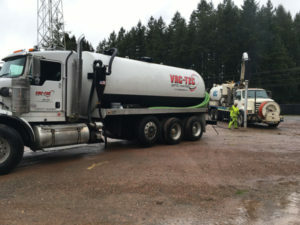 We offer 24-hour emergency septic repair services in Olympia, WA. Our company caters to both residential and commercial emergency septic repair needs. Having a broken sewer or septic system is a serious issue. While the sewage backup that generally happens in the situation can cause major disruption in your household activities, it can lead to huge losses at the business place by annoying and turning-off your customers. We help minimize such hassles by responding promptly to your call for emergency septic repair. In fact, our services are not only fast, but also delivered efficiently with enduring solutions. 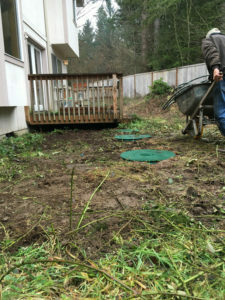 The technician we send over to carry out emergency septic repair in your Olympia property is a seasoned professional with experience in fixing all big and small septic malfunctions. From leaking or broken septic line repair to septic tank repair to drain field repair to septic pump repairs, we do it all and more. However, you may need emergency septic pumping & cleaning services in-between if your home or commercial building hosts an occasion that involves presence of lots of people and excessive load on the plumbing & sewer system. You may also need emergency septic pumping & cleaning if you neglect regular tank pumping and end up with overflowing toilets or drains. Choose us for emergency septic pumping & cleaning services in Olympia at all such times. 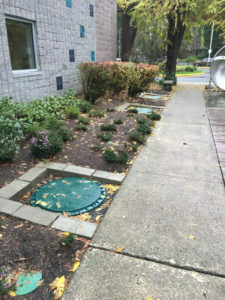 Even if you fail to get tank clean-out done at the scheduled time, you must watch out for symptoms indicating that your septic tank has stopped processing the wastewater properly. To schedule emergency septic pumping & cleaning or repair in your Olympia property, call VAC-TEC LLC. at (360) 338-6686.